Cabinetry 101 | Merit Kitchens Ltd.
You Have Cabinet Questions. We Have Answers on Cabinets. To help make the most of your cabinetry investment, we’ve explained some of the important cabinet construction, styles and method variances below. Get ready to learn everything there is to know about cabinets – well, almost everything. With this knowledge in hand, you will be able to make decisions regarding your new kitchen or bathroom with confidence; or at least follow along with your designer and contractor when discussing your new build or renovation project. 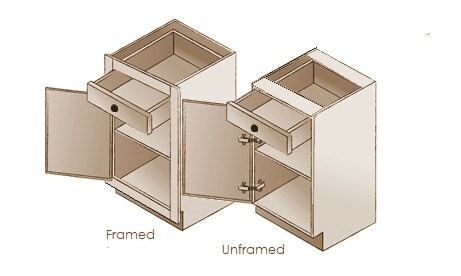 This style of cabinet construction features a frame on the front face of the cabinet case. Wider cabinets often possess a centre-stile between the two cabinet doors. The door hinges are mounted to the frame, and as a result the door fronts do not completely cover the front of the cabinet. The existence of the frames and center stile make it difficult to install pull-out shelves and other space saving accessories. In addition, less of the storage space is easily accessible. Though framed cabinets deliver an attractive, country-style look as a result of their older, traditional style, they are less functional and streamlined. Also known as European-designed cabinetry, this style of cabinet provides full-access to storage spaces because the face-frame and center stile are eliminated. Unframed cabinetry lends a cleaner look. Fully-adjustable, European hinges are mounted to the side gables and concealed inside the case. Also attached to the interior sides of the case are drawer slides. 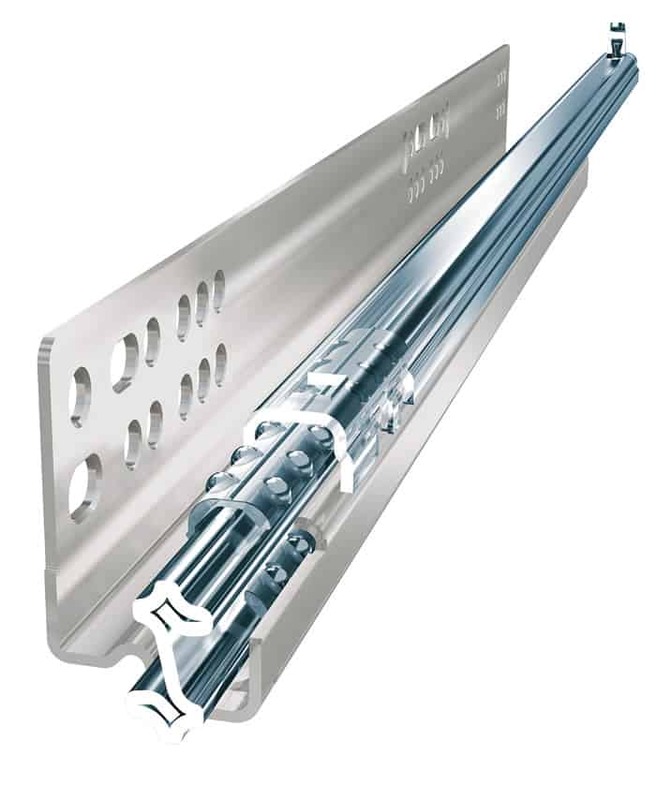 Roll-out shelves and other space-saving accessories can be installed and utilized much easier. Merit Kitchens offers attractive, fully-accessible, European style cabinetry to make the best use of your available space. Components such as these are utilized in cabinetry where low cost takes precedence over quality. Staples and pins are not ideal for maintaining perfectly square and strong cabinets. 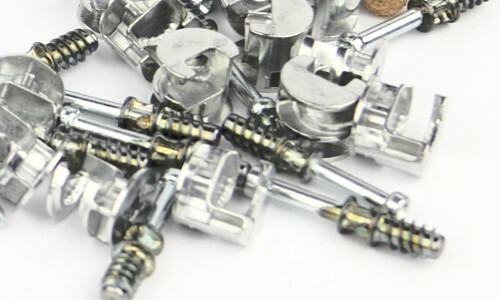 Cam bolts are often used in knock-down, flat-pack cabinets which are designed to be assembled quickly on a busy construction site. Hardware of this kind can loosen over time or even fail from the start. This is the traditional, tried-and-true construction method for cabinetry, and this is favoured by top manufacturers around the world. Utilizing precision machinery, small holes are drilled into the case material and high-quality wood adhesive is applied inside them. Wood dowels are then inserted into those holes to join the cabinet components, creating solid structural integrity. Laser-precision machines compress the case equally from all sides and ensure it is perfectly square. 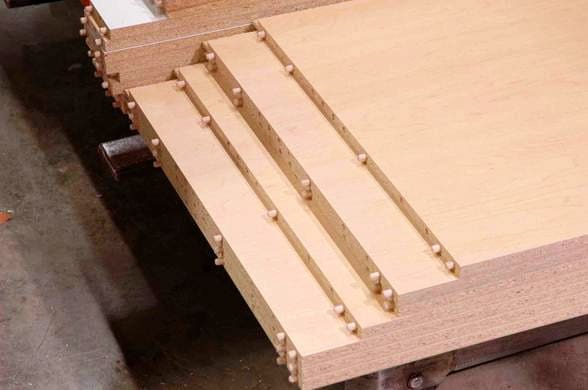 This type of fabrication prevents movement at the joints where cabinetry pieces are fitted together. The finished product is stronger, sturdier and remains square throughout its life. A further benefit is the case exterior is free from visible fabrication hardware, nails, screws, holes etc. At Merit, we trust only dowel and glue construction to attain our superior standard of quality and durability. The kind of plywood you find in home-centers and hardware stores is often used in home construction – not cabinets. 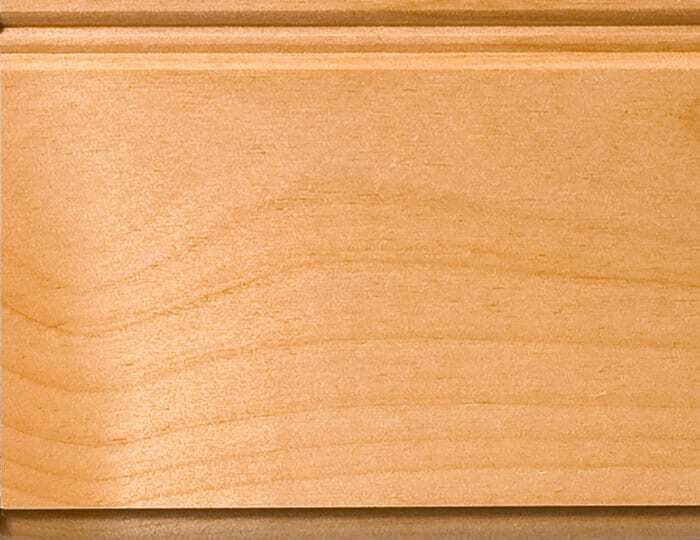 Maple or Birch is usually favored for high quality cabinetry plywood. Plywood is a manufactured wood comprising of thin wood sheets that are carefully adhered together. It is strong and resistant to chipping, cracking and water damage. 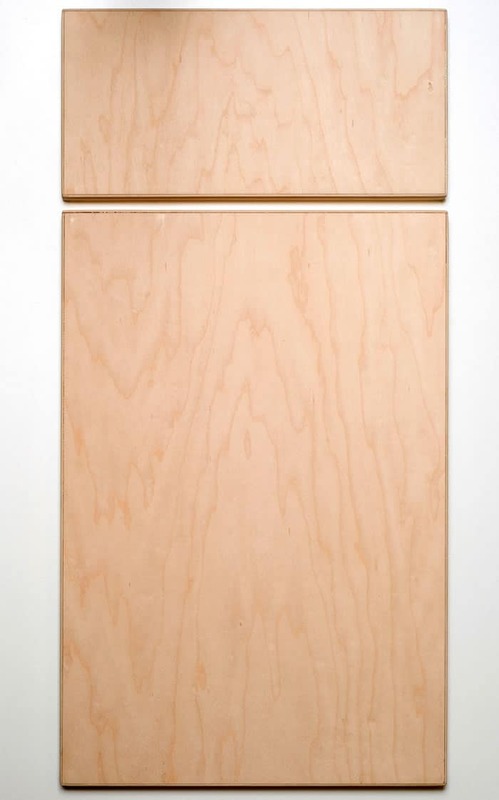 Merit Kitchens carefully selects high quality furniture-grade Birch plywood for its case material. An added benefit is its low formaldehyde content and CARB Phase II California Air Resource Board )/ TSCA Title VI designation. It is sanded smooth and given a finishing clear coat to retain the wood’s natural honey-golden character. Particleboard is an engineered wood manufactured from wood chips, shavings, and sawdust. When pressed together, it is bound by a synthetic resin through high-heat compression. Particleboard is free from knots and can be produced in any size, density, and quality. It is strong, durable and consistent in size, shape, and thickness. While particleboard is an ideal material for cabinetry, it can potentially swell with moisture. 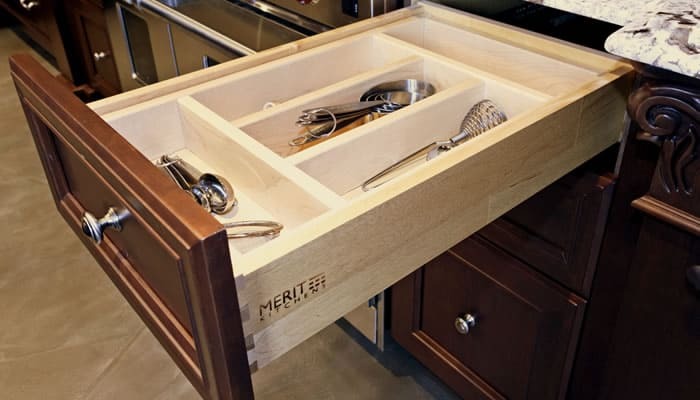 Merit Kitchens uses only the finest multi-density, furniture-grade particleboard laminated with white or natural Maple melamine and/or vinyl for a water repellant surface. 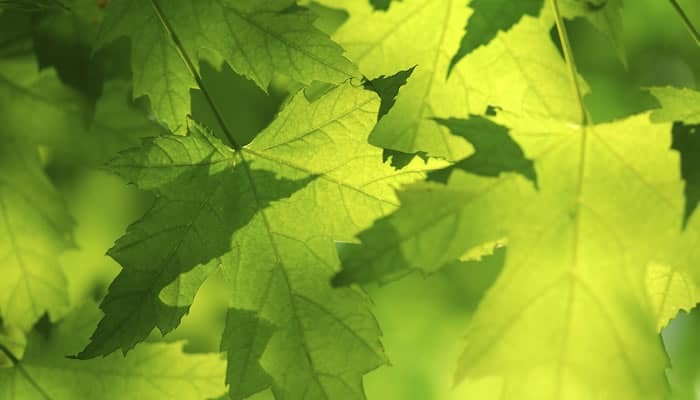 Most importantly, Merit’s standard case material meets CARB Phase II (California Air Resource Board) / TSCA Title VI standards for low formaldehyde content, making it a healthier choice for both home and environment. recycled material and no urea-formaldehyde added adhesive. For almost two decades, Merit Kitchens has been crafting EcoPlus cabinetry for Japan. And after rigorous and stringent testing, their government awarded our product the highest designation – 4 Stars. Environmentally savvy builders in North America have also honored Merit Kitchens by selecting EcoPlus for their LEED (Leadership in Energy and Environmental Design) accredited projects. In framed cabinetry, hinges are mounted on the exterior and are visible. In unframed cabinetry, hinges are concealed inside the cabinet box, creating a cleaner look. 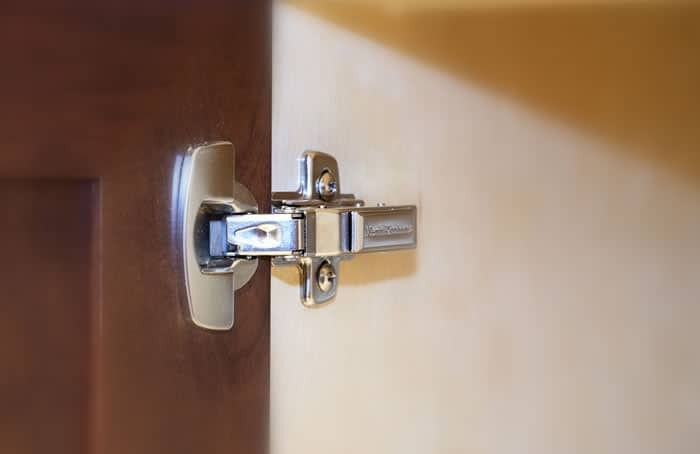 European-style hinges, that are 6-way adjustable. A 110 degree angle of opening. Square springs for strength and integrity. Recycled and recyclable, all-metal construction. A snap-on, snap-off feature for easy removal. A soft-close feature built into the unit. Drawer slides are a hidden element in cabinetry construction. As a result, their importance is often overlooked. However, if you have ever experienced a malfunctioning drawer, you are quickly reminded that drawer slides are a critical component of performance. Full-extension for increased access, especially to the back of the drawer. Undermounted slides; not only do they streamline the look of your drawers, they increase storage width and allow for easy removal of the drawer box. 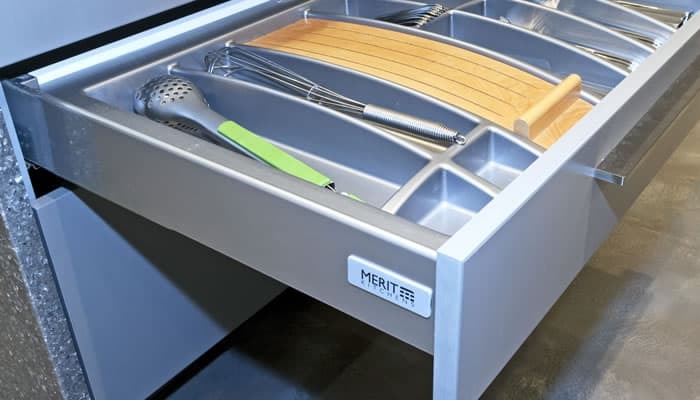 Along with drawer slides, the drawer box itself adds value and ensure long-term enjoyment of your kitchen. Customer-focused manufacturers seek to offer a product that balances appearance with superior construction. A time-honored and trusted cabinet drawer box construction. Strong, solid Birch or Maple construction. Full-extension capability for increased storage, improved access, and easy removal. Contemporary, streamlined look that is easy to clean. There are three basic door styles to choose from – slab, raised, and recessed or flat-panel doors. Each has its own defining characteristics. 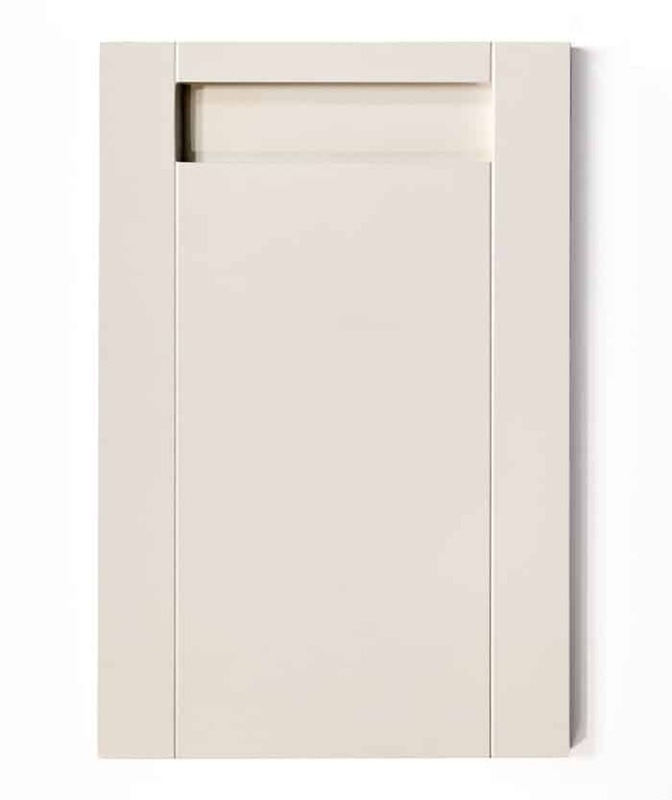 Least adorned door style; they consist of a single, flat surface of wood, painted material, melamine, or thermofoil. Edges and corners may be rounded, square, or eased. The simple, clean lines of slab doors lend a calm, sleek look to contemporary interiors. Boasts a frame bordering a completely flat centre-panel. Flat-panel doors suit a variety of tastes ranging from traditional to contemporary – they are probably the most versatile of all door styles. Available in various wood species, painted materials, and thermofoil to complement a wide range of styles and budgets. Features a raised center-panel framed by moulding. Traditional spaces are nicely complemented by raised-panel doors. Offered in a number of wood species, painted materials, and thermofoil. One of the most important decision to be made is what species, or type of material, to choose for your cabinets. Merit Kitchens offers cabinets in a wide variety of species. A natural, rich look in cabinetry. Colour is a natural reddish-brown and mellows with exposure to light. Light, hard, strong, stiff, dense, close-grained wood with a uniform texture and varying appearance. Grain variations include waves, curls, and lines. Random mineral streaks, gum pockets and pin knots create interest and variation in the appearance of the wood. Responds beautifully to stain, accepting it uniformly. Creates a more subtle, consistent look in cabinetry. Colour is cream to pale reddish brown and mellows with exposure to light. Heavy, hard, strong, dense, stiff, close-grained wood with uniform texture and appearance though pieces can vary slightly. 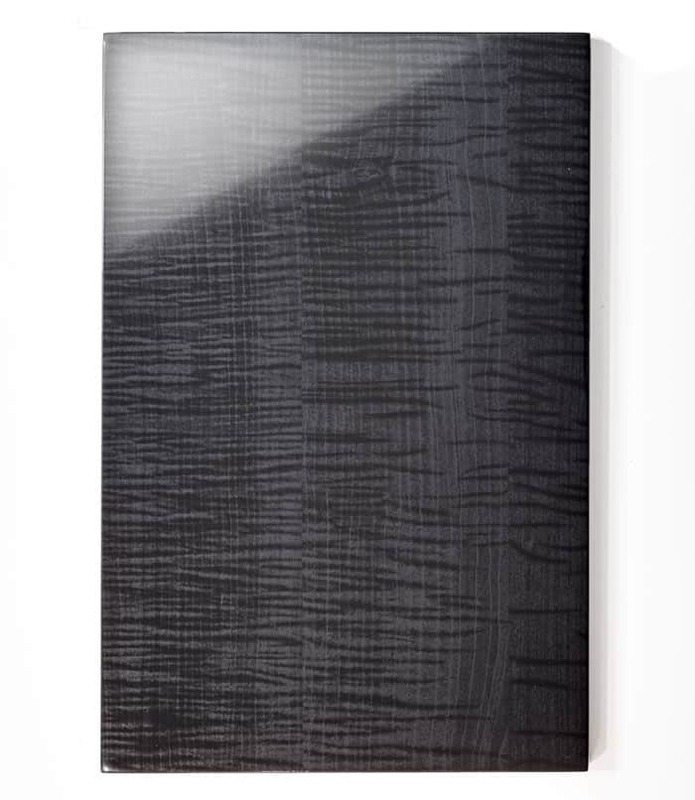 Subtle grain variations, such as waves and fine lines. Small, black mineral streaks and bird’s eye dots enhance the look of authentic Maple wood. Slightly waxier than other species – stain will sometimes appear slightly lighter and less uniform. A distinctive personality, greatly impacting the overall look of the cabinetry. Colour varies from pale to reddish brown and mellows with exposure to light. Heavy, hard, strong, stiff, open-grained wood with varying texture and appearance. Distinctive grain patterns, varying from stripes to flowing waves. Responds beautifully to stain – grain and colour variation are greatly enhanced. Like Cherry, Alder lends a natural, rich look to cabinetry; Knotty Alder is distinctively rustic. Colour is light tan to medium brown and mellows with exposure to light. Light, soft hardwood, medium density, close-grained wood with a uniform texture (with the exception of the knots in Knotty Alder) and subtly varying grain pattern. Fairly straight-grained with variations including subtle waves and lines. Some mineral streaks and pin knots. 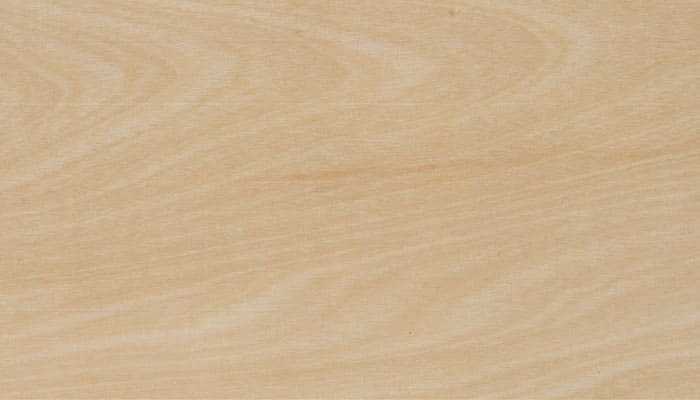 Knotty Alder has the same attributes as Clear Alder, but boasts greater grain variation, knots, knot holes, and pin holes. 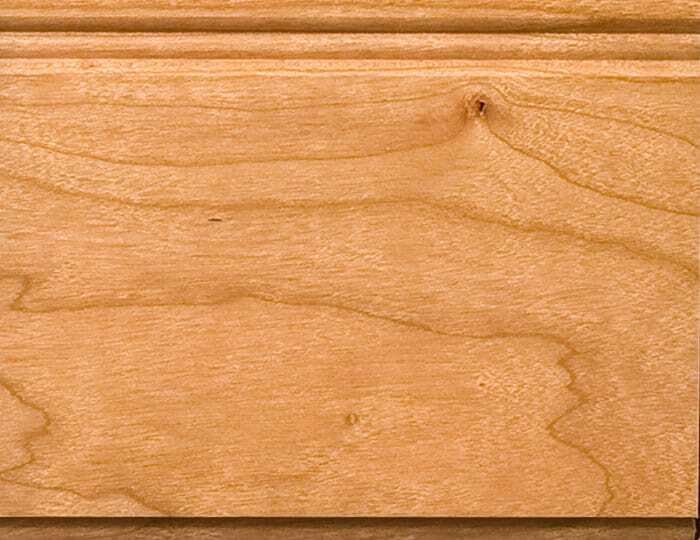 Knotty Alder is a good alternative to Knotty Pine; it is harder and accepts stain more uniformly. Responds well to stain, accepting it uniformly, often mimicking Cherry. Though veneers mimic the appearance of exotic and rare hardwood, they are crafted from plantation-grown, responsibly-managed woods. Water-based dyes used to achieve colours. Created utilizing computer technology to achieve consistently-shaped grain patterning. Painted Maple cabinetry enhances both traditional and transitional interiors where the look of a fresh, finely painted product is desired. 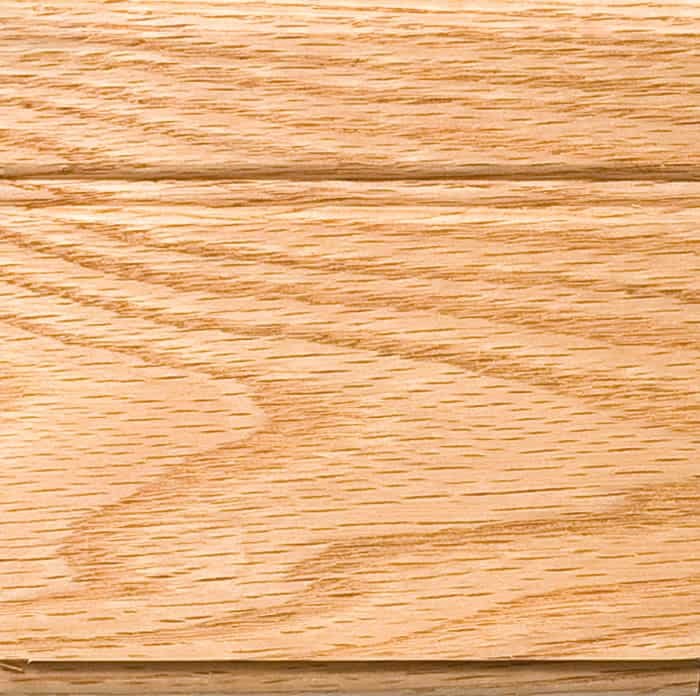 Maple is a heavy, hard, strong, dense, stiff, close-grained wood with uniform texture and appearance. 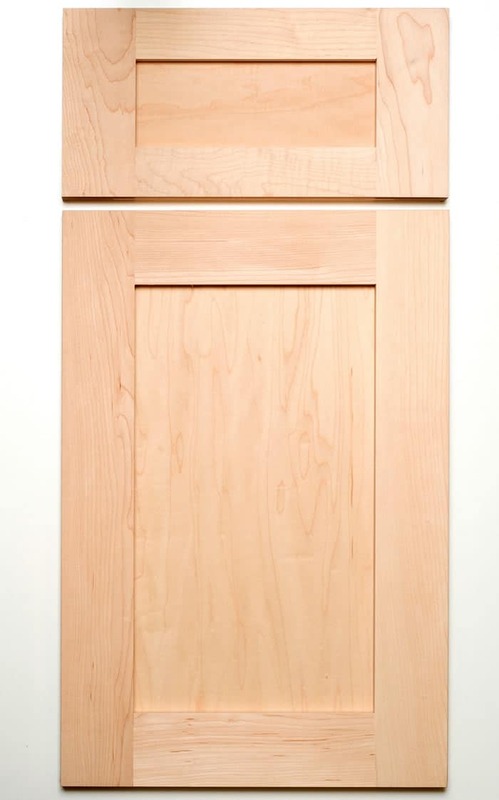 Medium Density Fiberboard (MDF) is chosen as a center panel for Painted Maple cabinet doors to prevent the cracking and lifting that may occur when wood veneer panels are painted. The painted finish may not bridge the open joint between the centre panel and the outside frame. Hairline cracks may appear at the frame joints. These characteristics, however, are inherent to the product and are evidence that real wood has been used. They enhance the authenticity and beauty of the wood-painted cabinet door. Its consistency in texture, grain, and density make it an ideal wood to accept matte finish paint. Medium Density Fiberboard (MDF) is a heavy, hard, strong, dense, stiff, uniformly textured wood product with no grain pattern. Its consistency in texture and density make it an ideal material to accept matte and high-gloss paint. Like all wood products, MDF doors expand and contract with fluctuations in humidity and temperature. 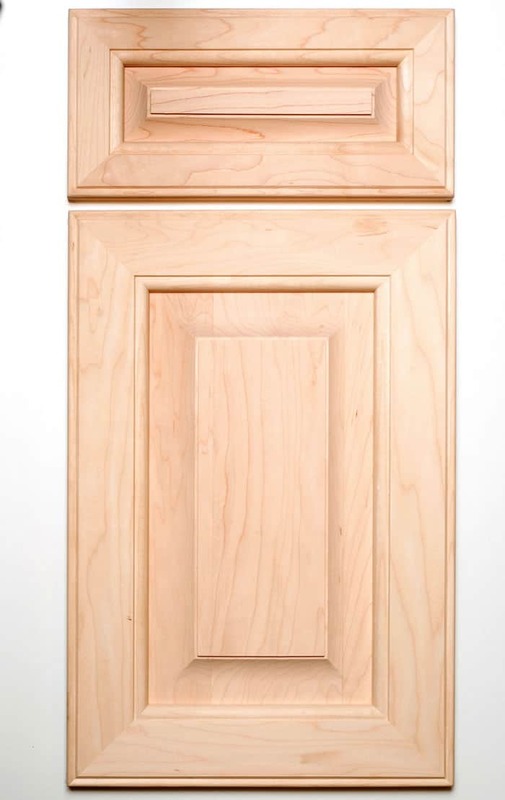 Unlike Painted Maple cabinetry, MDF doors can be more susceptible to damage in areas of high use. If moisture enters the blemished area, the exposed MDF may expand, creating a small ‘pillow’. High-gloss finishes require careful maintenance and handling since they can scratch more readily. Painted MDF cabinetry is so versatile, it suits a variety of applications from traditional to contemporary; high-gloss painted, MDF Slab doors are particularly sleek and stylish for the latter. Texture is smooth and matte, smooth and glossy, or matte wood-grained, and is consistent. Available in many solid colours, as well as finishes that mimic wood. Colour and grain pattern, if any, are consistent. Highly scratch, dent, water, and stain-resistant, though high-gloss thermofoil requires a little more care to prevent scratching. Doors are created by vacuum-forming and heat-bonding a rigid, opaque vinyl film (PVC) to a medium density fiberboard core; the fiberboard is made in Canada from 100% recycled wood content, and is certified as an Environmentally Preferred Product (EPP). Low-cost alternative to wood and painted products, and is more durable and easy to maintain. Can be susceptible to heat and steam damage if proper precautions are not taken. 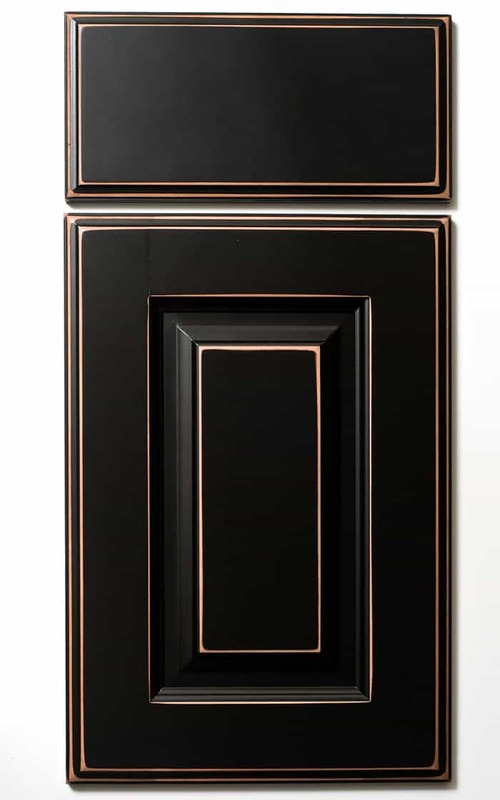 Slab doors with high-gloss finishes have brought new interest and excitement within contemporary design. Doors are edged with matching or Aluminum PVC edge banding. Highly scratch, dent, water, and stain-resistant, though high-gloss laminate requires a little more care to prevent scratching. 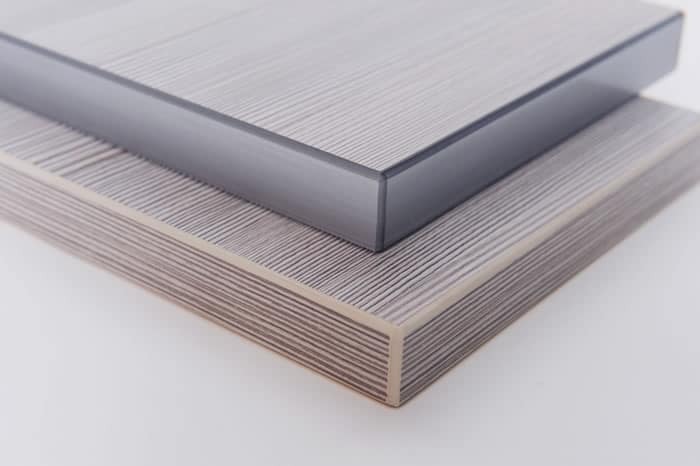 Either high pressure laminate or low pressure melamine is heat-bonded to a particleboard core (Merit’s particleboard is furniture-grade and eco-friendly). 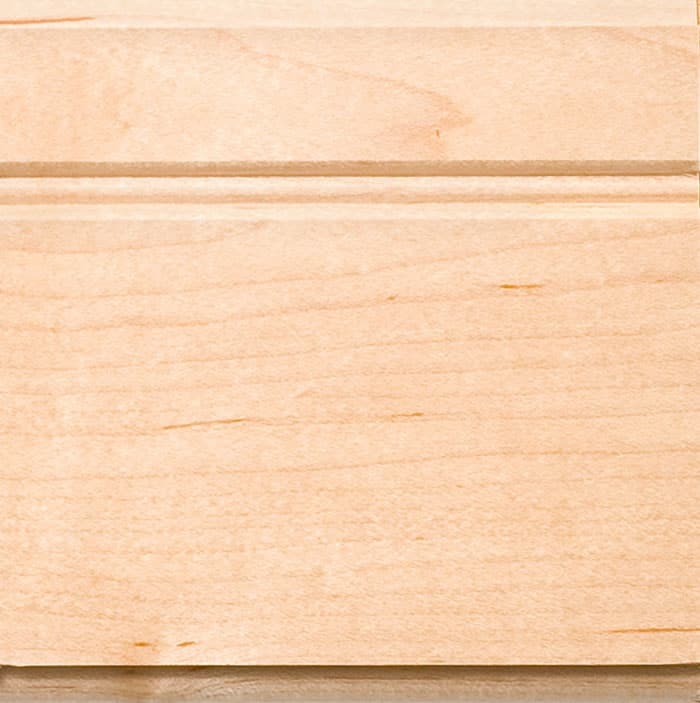 Door corners and edge-banding can wear over time. 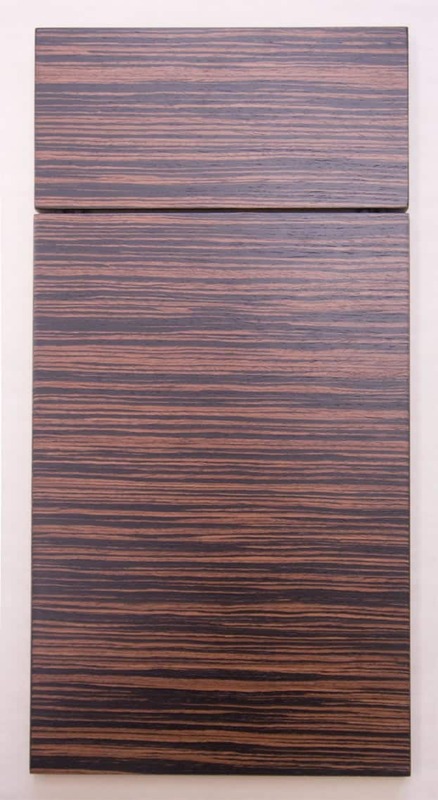 Slab doors with textured woodgrain laminate lend a clean, chic look to contemporary interiors.